Priority fire risks at a council block remain unaddressed more than four years after they were first picked up by safety experts, the Citizen can reveal. Assessors recommend that these so-called “Priority 2” (P2) issues are sorted out within six months. But Hackney Council is unable to explain why vital fire safety works at 1-46 Barrie House in Stoke Newington still need doing – after they were highlighted by an assessor back in 2013. A spokesperson blamed the inadequacy of “previous record-keeping”. The first four of those recommendations, which the assessor categorised as P2s, involve fitting new fire-resistant doors to three flats, repairing a broken door, installing self-closers on doors to all flats, and informing residents about the dangers of having window grills or security gates in the event of a fire. Three are still outstanding, but the council says the last point has been addressed – although it is not yet clear when that happened. Under the assessor’s comment in the FRA, a note marked “Important” states: “If the additional control measures listed above cannot be achieved within the proposed time scale, the reasons for failure to complete should be documented. The Town Hall spokesperson said: “The council has been revisiting FRAs as part of a comprehensive fire safety review to reassure residents about the safety of their home. “Due to the previous record-keeping for this estate block, we have not been able to find out why some recommendations were only partly addressed, however, these recommendations have now been completed or have been prioritised. 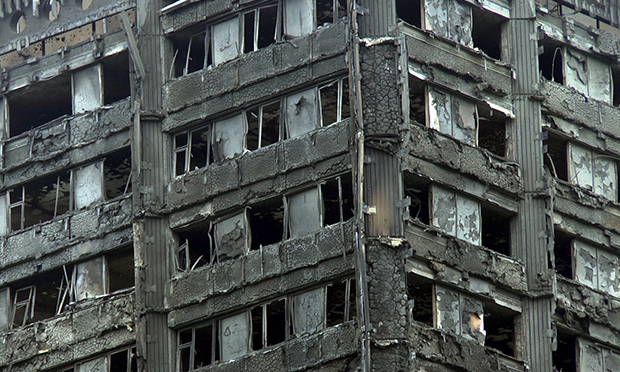 Two days after the Grenfell Tower fire in June, a letter sent out by the council to its residents stated: “All of our buildings have an up-to-date fire risk assessment. The council is in the process of publishing only the most recent 1,800 FRAs for all of its properties. The Citizen has been requesting historical FRAs since the Grenfell tragedy, but the council has blocked their release, first by delays and then by flat refusal, stating newly conducted FRAs “supersede the previous ones”. Last week, it was revealed that the council changed its mind about releasing previous FRAs after the Grenfell fire. In September, the council cited a “recording error” when the Citizen reported that one building had not been checked for five years, while the Town Hall blamed a safety expert for labelling one FRA with the wrong date. When a resident asked the Mayor on Twitter if he was suggesting the Citizen‘s stories were untrue, Glanville responded by accusing Steinberger of being “alarmist”. The Citizen is awaiting further comment from Hackney Council regarding Barrie House.